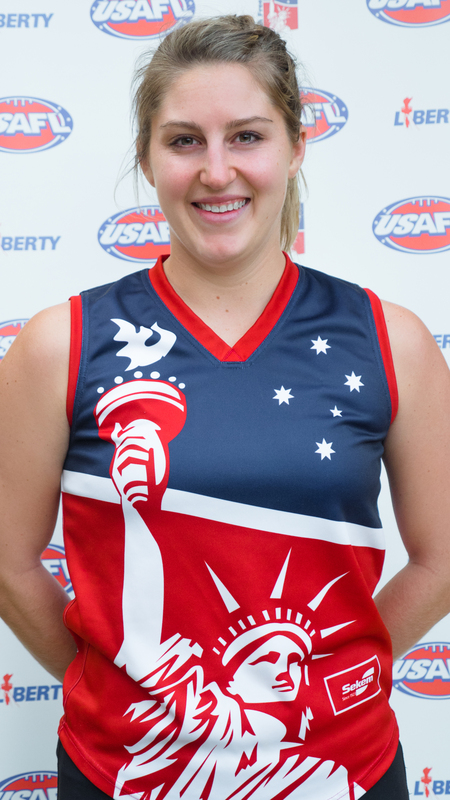 Katie Klatt has recently moved to Melbourne, Australia to pursue her passion of footy. She plays for the Melbourne Uni Mugars and trains in the AFL Women's Academy. Before moving to Australia, she lived in Sacramento and played for the Lady Suns. Katie is a Registered Nurse in a Pediatric ICU. When not playing footy, Katie loves weight lifting, dancing in the car to loud music, and a cold glass of Nesquik chocolate milk with a good book or a classic Disney movie.